Buying a health insurance plan is just like buying a car. All cars have four tires and an engine, and all health insurance plans have deductibles and some have coinsurance. What you have to ask yourself is how big or small a deductible you want to purchase. The smaller the deductible the higher the premium. Another way to say that is that the higher the deductible, the lower the premium. People who want to lower their health insurance premiums should consider increasing their deductibles. Every type of health insurance, actually every type of insurance, is for catastrophic situations–“so I don’t lose my home, car, and shirt (and for me, my scuba gear! )” With this understanding, you will be able to find the best insurance “vehicle” for you. Doug Gulleson loves to scuba dive overseas. He makes sure he always takes his credit card AND international travel insurance. 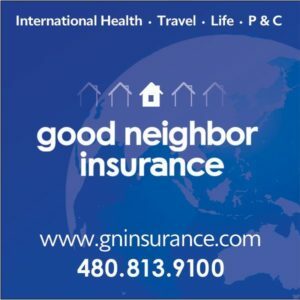 Visit Good Neighbor Insurance at dev.gninsurance.com for Arizona coverage or www.healthinsuranceinternational.biz/outreach.asp for your next overseas trip and get a FREE quote.